summer schedules up for thunder beach!check it out! a great weekend of success for 16 baden while attending the windy city qualifier! 9-1 on the weekend finishing 3rd in American! A big congrats to 16 Baden for a great weekend in Chicago at the Windy City Qualifier! Going 3-0 in pool play on Friday and Saturday put them into the Gold Bracket on Sunday! Winning the first 3 rounds of bracket they were headed to the semifinals. After a hard fought match, 16 Baden finished 3rd out of 97 teams! 9-1 on the weekend, way to represent ITVC ladies! We are proud of you all! 16 baden is headed to platinum! a great reward and opportunity for 16 baden as they won their pool and cross over to move up to platinum! Going in seeded 4th in their pool and walked out of the gym going 6-0 on the day and moving up to flight 1! Way to play 15 baden! Tryouts have concluded for the 2018-19 club season. 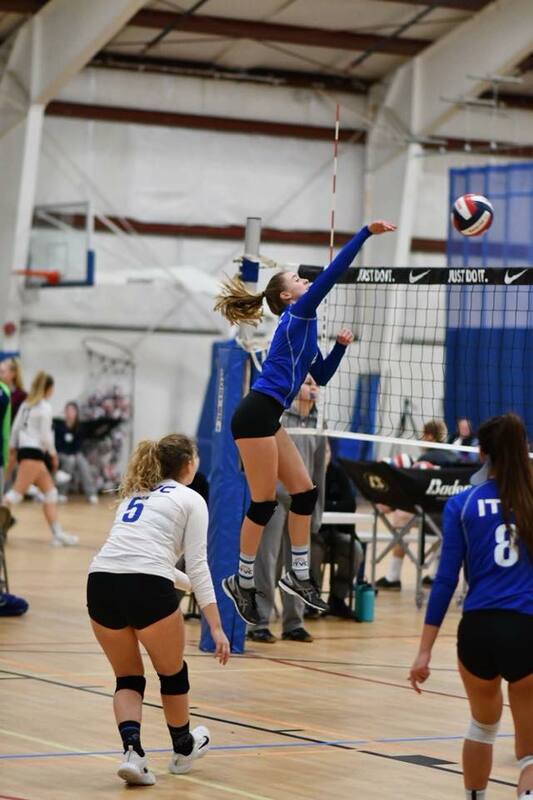 For more information on ITVC’s tryouts , what we look for in our athletes, any forms you may need for future tryouts or even what age your daughter should be trying out for please click below. Finally we get to have all the players, parents, and coaches in the same place! ITVC is excited to welcome all the families that have decided to play the 2018 - 2019 club season with us. We look forward to being able to sit down with you all. If playing at the college level is a goal for you, please visit our recruiting page. Here we will provide you with great information on the recruiting process and get you connected to resources that will help you figure out your next steps.